Nicole Klein Named Managing Director of Private Banking at Signature Bank of Georgia | Locally owned and operated community headquartered in Sandy Springs, Georgia. 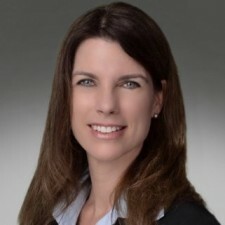 Sandy Springs, GA, May 31, 2016	(Newswire.com) - ​​Signature Bank of Georgia President Freddie Deutsch announces Nicole Klein has joined the team as Senior Vice President and Managing Director of Private Banking Group. Klein has been in the banking industry for 25 years with the last 15 years concentrated in private client and commercial banking roles. With a degree from New England College of Finance, the first ten years of her career were spent gaining experience in retail banking. Since 2004, Klein has developed a strong following among her clients in the Private and Commercial Banking areas. “It is with great pleasure that we welcome Nicole to the team,” say Deutsch. “In our search for the Private Banking Director, we needed an individual with a strong client following and solid sales experience in retail and commercial. Nicole is the perfect fit to round out our banking team. Having Nicole deliver our boutique-style of Private Banking with a high-touch, high-service philosophy, complemented by her expertise, is what differentiates Signature Bank. As Managing Director of Private Banking, Klein will direct the relationship management associated with the Private Banking Group. She will be focused on the unique needs of the prospective clientele including loans, deposits and cash management. In addition, she will seek to deepen relationships of existing clients who can benefit from the expertise of a Private Banker and a specialized suite of products. Klein will be located in Sandy Springs at 6065 Roswell Road. Her email address is nklein@signaturebankga.com and her direct dial number is 404.256.7705.